Studded hoop style dangler designed by Atelier Mon at AASHNI+CO. 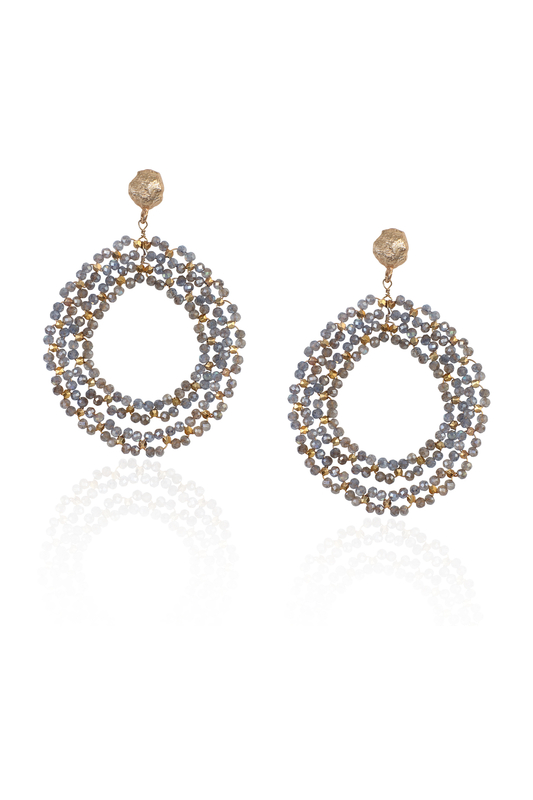 Atelier Mon customizes a modern and elegant design of dangler in a hoop style embedding it with dainty semi-precious stones. Accessorize the pair with your cocktail gown.